This is an awesome app. I now have over 400 recipes loaded. Everything is in one place. No more wasted time searching. If I find an item at market, I can just look up, choose from my recipes and get the ingredients needed. Efficient. Also makes it easy to print and to email. 4 stars only because this app needs to be update. Please. This is a great app. I now have over 400 recipes loaded. Everything is in one place. No more wasted time searching. Also makes it easy to print and to email. I've collected many recipes over the years. They are piled unorganized on my desk. I needed to make a change to my "system". I've only entered a few recipes but so far so good. This app is exactly what I was looking for. This app does not synch with your email and if you do not back with iTunes, you could loose all your recipes. Also does not have photo upload. I have no complaints so far in my use of this "recipe box". :) It's nice and simple, just my inputs. I have one suggestion to improve it, though. 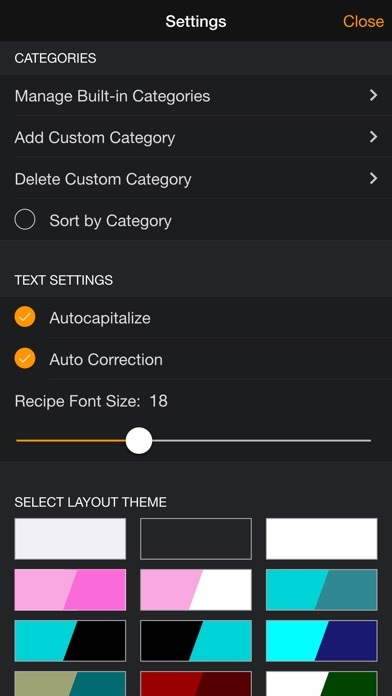 Could you please add the "favorite recipe" checkbox to the view mode of a recipe, so I don't need to edit it to simply star it. Thanks for this tool! Easy to use!! Never had any problems with the app. I use it regularly. Can't wait to add my favorites. I like being able to google a recipe and then being able to copy it down fast! And I love that it's not full of preloaded useless recipes that I'll never use. I do wish I could upload a photo though. Then I could snapshot a recipe, and others comments as to ways they altered it, and save it easily. Only one suggestion for future versions. Add a category for drinks, or better yet let me be able to add new categories . This is so organized n simple. It's awesome! Simple, efficient and user friendly. Just the right app for storing your own recipes! This is the app I've been looking for. Easy to use, and no unnecessary stuff getting in the way. Simple, just what I was looking for! I love this app, especially the ability to share recipes. I found a bug in the latest version, emailed the developer, and within an hour received a reply with an apology, a work-around, and a promise to fix it. Wow! Love this app! I can store all my recipes and easy to use. Simple easy to use. Love it. Easy to use, configurable interface. Does just what is intended. This app is easy to use. Simple interface. For .99$ more you can add pics which was worth it. Seems nice at the start, but the keyboard blocks the input after a few lines. Cannot see your typing. Sorry I paid for the upgrade before trying it. Simple. Exactly what I was looking for in a recipe app. Doesn't give you tons of recipes already that you won't use, just what you put in exactly how you want it. This app is exactly what I was looking for. Simple. Easy to use. Beautiful! Love this. Having all my recipes with me really is convenient. Still waiting for you to fix the edit, it now jumps to categories . Great update, just found a bug when trying to correct a mistake with ingredients, the keyboard lays over the area I need to correct and when I flipped my screen the long ways it ended up just making my screen white. Guess I'm not correcting that recipe. Also can't edit the notes, no keyboard shows up. Easy to enter new recipes, easy to organize, easy to use. The simplicity of this app is perfect for me. I just wanted a place to put my recipes with nothing pre-loaded. When entering new recipes, you only see one half of the screen. At first I was bummed. But, then I noticed when I close the app and went back in, it was full screen and everything was there. When you're loading new recipes, scroll down for the rest of the screen to show. It's a bare bones recipe organizer. It gets the job done. It's simple, maybe too simple. I was looking for more advanced features that I probably wouldn't use. I just got this and only put one recipe in but it seems to work nicely. I like the fact that it will be only my recipes that I will be looking at when I search. I would like to be able to import them into the app "myfitnesspal". I use that app for weight loss. As I use this app I will adjust my rating to reflect its function. I can't see what I am typinggg. :(. The list of recipe categories is kind of blurry and is bothersome. Otherwise, I like the app. Love that I can add my own recipes. I would also prefer if it didn't show the sections I do not fill in instead of writing N/A... Takes up too much space when I'm reading through recipes on my iPhone. Please fix these and it will be perfect!!! This was just what I was looking for! 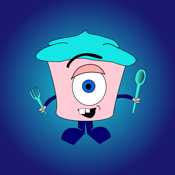 A simple clean easy to use app to store my recipes. Eliminates my bulky binder of printed recipes. My only issue is sometimes a vertical white "bar" seems to unnecessarily appear on the right side of the screen. It does go away after flipping the device from horizontal, to vertical, then back to horizontal. 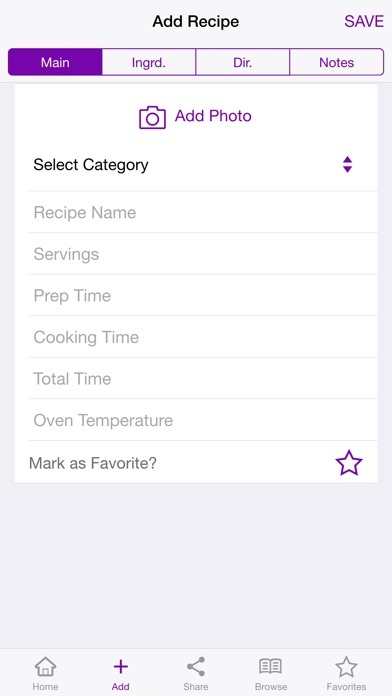 Also, the ability to assign more than one category to a recipe would be great. For example, if I could categorize "ham & cheddar chowder" under both soups and dinner, that would be great. Otherwise, no complaints so far! I love keeping my recipes organized with this app!! Easy to use. This makes my life so much easier. The platform is laid out and very easy to use. So far so good. Easy to use. Wish they had more category options and it would be awesome if they had an option to add calorie information as well. But great easy app to use. This app does EXACTLY what I need. Organizes the recipes I have & want. Not a predetermined library. It's easy to use & highly recommend it for anyone wanting to organize your personal recipe library. This app works great, especially if you are constantly making changes to recipes or adding your own twist. I make changes and add notes each time I cooks something. It is simple and basic. There are so many great recipes on line. This app allows me to save my favorites all in one place. I would be lost without it. A simple easy to use app for storing and organizing my own recipes. If what you want is an app that you can put your handwritten recipe card info into....this works great. It does what I needed and I would recommend it. My recipe note book got wet, and then molded. Can't even keep it in the house, so I needed something that would allow me to copy old favorites. Would be helpful to have some sort of tab in the ingredients section for the quantities, but otherwise app performs as advertised. I even use it as a reminder of what I CAN make, even if I don't need the recipe, since I'm a little forgetful, I just put that in the appropriate category. Had to buy the upgrade, though, 'cause the color scheme was unpalatable. I downloaded this app a few days ago. I liked how there wasn't a bunch of recipes on there already. Unfortunately you have to type all your recipes in yourself. I was able to copy and paste some of them, I was planning on typing them into my computer anyway so that's not a big deal. The only thing I have noticed I would like to change is to be able to put a recipe into more then one category. Otherwise I love this app! So Many Bugs; Save Your Money! 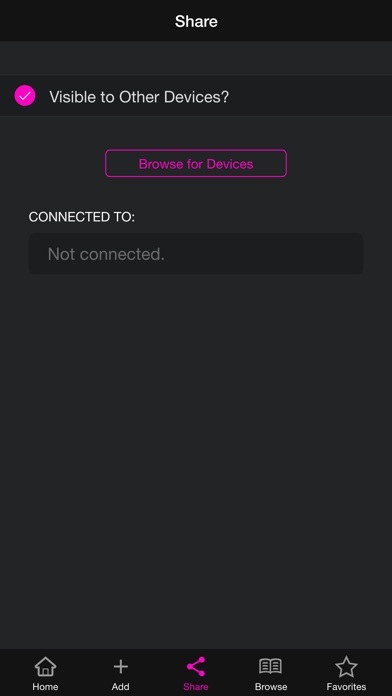 Can no longer share from one device to another. I have lost numerous recipes during back up procedure. App is not stable. Customer service is quick to answer your emails, but nothing gets corrected. Recipes are not separated by headings on my iPad any longer so you have to sift through ALL recipes to find what you want. The new design looks good but, the old design was sufficient if you would work out the bugs! I can't even see what I'm typing right now because the keyboard is covering up the text! Fix the bugs in the inner workings and THEN worry about the design. Who cares what it looks like, only if it works properly! AND IT DOESN'T! For goodness sake, do we need to beg..........oh, and I had to give you one star only because you have it so you cannot send with no stars! Now your email address doesn't work. How convenient. I just downloaded this App and I have only put a couple of recipes in the App. I will use it then report back later. Adding a recipe is very easy and seems to be very user friendly. I don't typically write reviews but I felt this app really deserved it. It's super easy to input recipes on my iPad and transfer them to my phone. This way I can reference any recipe while I'm shopping. There aren't a bunch of stupid recipes I will never use taking up space. Just my old tried and true recipes. And best of all, my old family recipes are safe from loss or destruction. Keyboard input covers the screen. Can't use the app if you can't even see the field where you are to enter content.